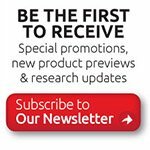 Baton Rouge, Louisiana - AbraxSys announced today the release of a new series of wide video format rugged NEMA 4 (IP6) rated panel mount LCD monitors. These 21.5" models meet a growing demand for high resolution 16:9 aspect ratio displays. This newly released series offers such features as 1920 x 1080 resolution, 1080P high-definition, extended operational temperature ranges, true industrial grade TFT panels, a multitude selection of inputs including VGA, DVI, S-Video and Composite, and a host of possible configurations; inlcuding standard brightness (500 nits model PM-215) as well as a 1000-1400 nits sunlight readable model (SRD-PM-215). This series hi-def LCD monitor series is designed to operate in harsh areas and even in direct bright sunlight, or in other high ambient-light conditions. The AS215P4HB2 model is state-of-the-art and produces over 1,000-1400 nits of brightness (vs. 250-300 nits for standard monitors). This results in amazingly bright, crystal-clear HD images, even with direct, bright sunlight on the face of the screen. This Sunlight Readable monitor is ideal for use in a wide range of industrial, law enforcement, aviation, marine, military, inspection, advertising and transportation applications where viewability in direct bright sunlight is crucial. These units can be custom-modified to meet your specific needs and can be private-labeled with your company name, logo and model number. • Exceptional color gamut on NTSC standards. • LED backlight has a typical operating life of 100,000 hours at an ambient temperature of 25 degrees C.
All AbraxSys industrial LCD monitors are specifically designed for use in demanding applications. 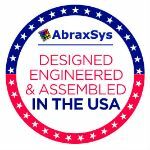 Every AbraxSys Sunlight Readable High-Brightness monitor utilizes industrial-grade components and high-end LCD panels not found in retail/consumer-grade monitors. This ensures superior image quality, improved performance and greater durability. Our 3-Year Warranty ensures you of reliable worry-free operation. The front bezel is contructed oh high-grade stainless steel and is very well gasket sealed to protect against driving rain or hose-directed water pressure. The rugged rear enclosure is fabricated of 6061 Grade Aluminum which has been Zinc-Chromate Dipped and then treated with Corrosion Resistant Thermoset UV-stable Black Powder-Coating. AbraxSys has added a versatile Analog-Digital interface board, backlight inverter and OSD controls. All elements, including a toughened glass protective screen have been packaged in a compact, rugged housing. The result is a flexible Display Head, ready for integration as part of any system; as an analog monitor, or a touchscreen driven human-machine interface. These rugged models offers exceptional shock and vibration safeguards. This product is very ruggedly built, features long-life displays with no scheduled End Of Life. Incorporating the latest LCD and control electronics you are assured a display the will perform reliably in harsh industrial environments. Various add-on features can also be incorporated into each model including: Sunlight Readability Technology, Extended Operational Temperature Ranges, Alternate Video Input Interfaces, Optical Bonding, Touch Screen, and much more. The company is a worldwide leader of Industrial, Rail type, Military grade, and Marine type LCD Flat Panel Displays, Panel PC, Sunlight & Daylight Readable Technology, Fully-Enclosed Touch Screen Computers and Workstations.